Laws around the use of telehealth actually limit it as a healthcare option, the CMS told Congress in a report on Thursday. Under the 21st Century Cures Act, Congress mandated that the CMS compile a report on the number of Medicare enrollees using telehealth services. It also asked about barriers to expanded use. It did not, however, ask for any suggestions on how to fix those legislative barriers. Medicare currently pays for telehealth services only if the beneficiary is in a rural area with a shortage of health professionals or in a county outside of a metropolitan area. It also places limits around which providers can bill for such services. Those provisions are "the greatest barriers to expansion of Medicare telehealth," the agency said. Almost 90,000 Medicare beneficiaries used 275,199 telehealth services in 2016, the last year for which data are available. That's one-quarter of 1%, or 0.25% of the more than 35 million fee-for-service Medicare beneficiaries. The 10 states with the highest utilization of telehealth services are California, Georgia, Iowa, Kentucky, Michigan, Minnesota, Missouri, Texas, Virginia and Wisconsin. 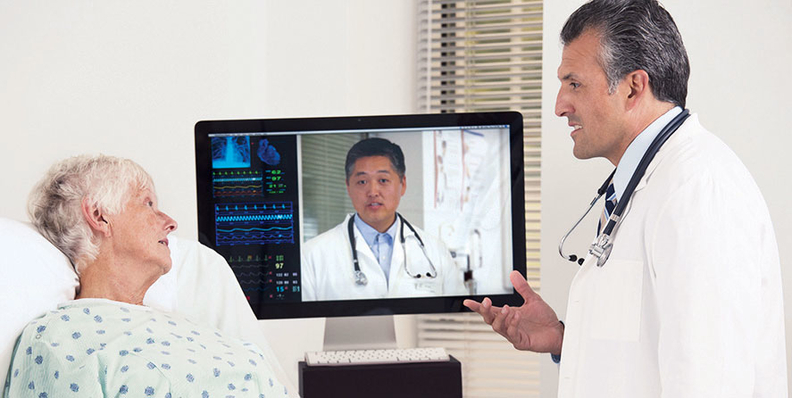 Telehealth could play an important role in achieving quality goals under value-based models if federal laws were amended, according to the CMS. "Emerging evidence indicates that telehealth can be a tool for empowering health care providers and patients to offer the best approaches to care," the CMS said in the report. Many patients face long waits to see a provider and telehealth could be a way of turning that trend around. The average patient waited approximately 29.3 days to see a family medicine practitioner in 2016, an increase of approximately 50% since 2014, according to the national physician search firm Merritt Hawkins.